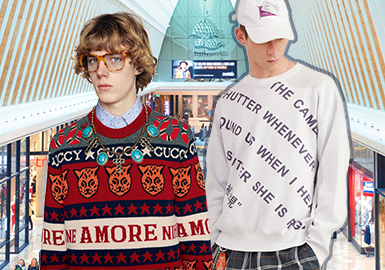 The statistics show that smart casual sweatshirts take up 59%, and street looks go up to 15%. Word decoration and splicing are prevalent in the market. Based on the statistics, we select hot items. 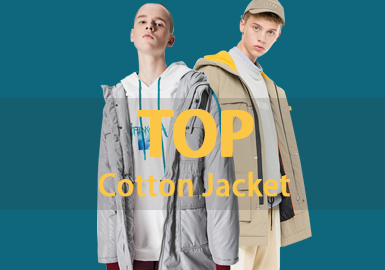 Smart casual jackets dominate the market in A/W 18/19. Splicing and embroidery are popular. 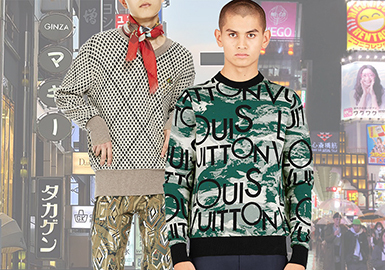 Famous brands including Gucci, Moncler, Fendi, Champion and Louis Vuitton have great influence on the Chinese market. 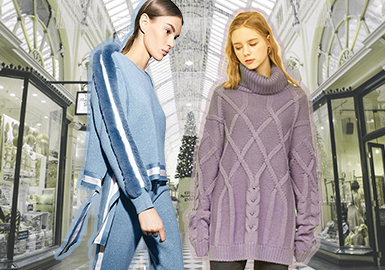 Knitwear takes inspiration from the iconic elements for design development. 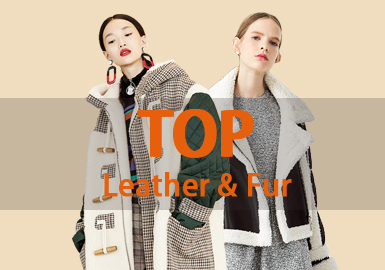 Smart casual fur and leather apparel tops the list. Splicing is most used, and letters are also popular. 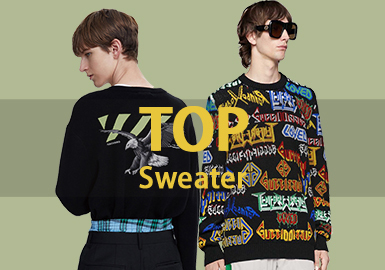 The December statistics show that sweatshirts dominate the boys' tops. 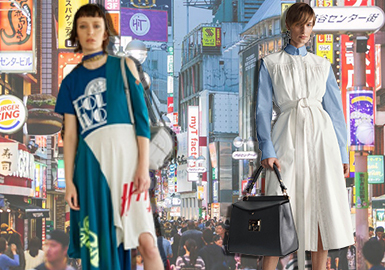 Korean and Japanese styles are as popular as smart causal looks. Animals and words are key patterns, piecing and embroidery prevail. Based on the market statistics, we select hot items. Smart causal shirts are key of A/W 18/19, featuring checks and stripes. White shirts with small-scale decorations are stylish and versatile. The December statistics show that business causal coats are prominent. Solid-color fabrics are key, without too many patterns. Word decorations are eye-catching. Padded coats in December feature smart casual and outdoor sport styles. Splicing is widely used, and words are also prevalent. Based on the market statistics, we select hot items. Business causal padded coats dominate, while smart causal style competes with funky street design. Words, splicing and embroideries are key details. 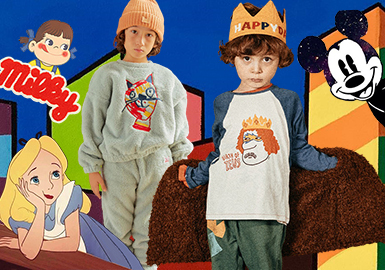 Sweatshirts are fashion items in autumn and winter. Diverse elements update looks to entice young customers who prefer oversized, comfortable and bold design. The women's items in December focus on the delicate chic style. Words and photos are key patterns, and splicing is also important. Jackets in December feature athleisure style. Words are key patterns, and splicing also gains traction. Knitwear in the A/W 18/19 Japanese market features a chic street feel, unique but not dramatic. Different elements update the Japanese style. 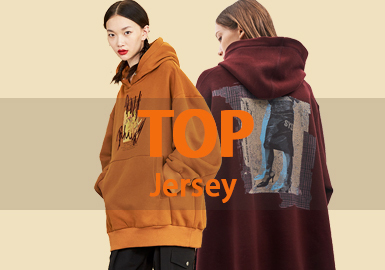 Based on the top 100 sweaters in the Guangzhou market, stylish and creative design is prominent. We analyze the key patterns and details in this report. 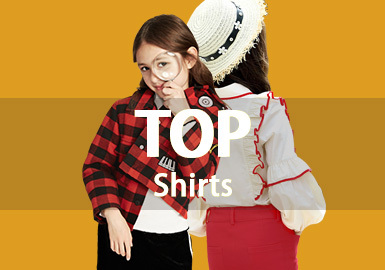 Shirts are key of girls' tops in November, featuring animals, florals, checks and stripes. Bowknots and collar design add depth. 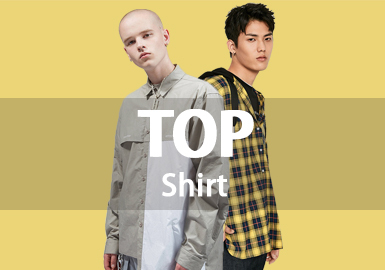 Based on the market statistics, we select hot T-shirts in this report. Tees feature smart causal or simple stylish looks. Words are key patterns, as well as portrait photo prints. Splicing is also important. Overcoats for mature women are prominent in November. 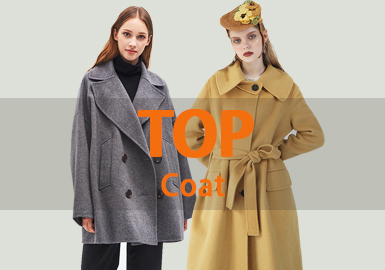 Long coats are key, while short and midi ones also play important parts. Extra-long coats have a small market share. The decorations of pockets become important. Embroidered words, zippers, PVC or elastics are creative. There are lots of animals suitable for embroidery. Chinese dragons are popular in the market, while linear stitches are full of interest. 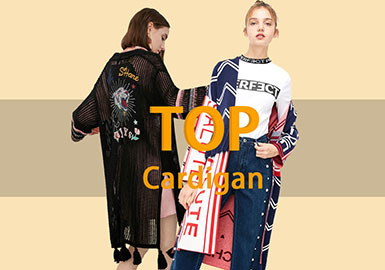 Based on POP's statistics and the A/W 18/19 retail market, causal cardigans vary a little in design features as compared with last year's. The use of ruffle decreases by 8%, and metal hardware also goes down. Animal prints including leopard and zebra make a comeback and will continue to rise. Word decoration is still popular, played out through different approaches. 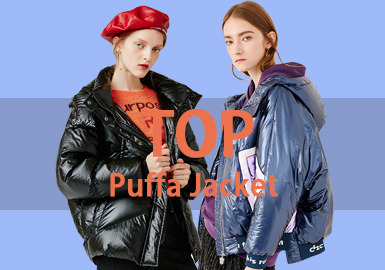 Puffer coats are staples of A/W 18/19 to keep warm and stylish. 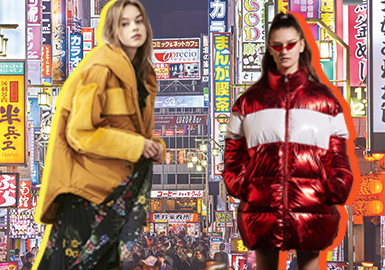 In the Japanese market, colorful puffa, collarless light jacket, multi-pocket work coat and mock-layer padded coats are key items, utilizing colors, layering or functional details to personify items. 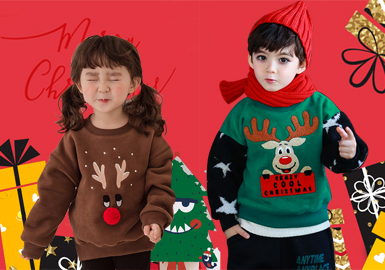 In the snowy winter, red Santa Claus, green Christmas trees and cute reindeer exude a strong Christmas vibe. Matte and misty desert dusk, mysterious yet romantic lilac, soft grass, light bluebell and calm birch are popular for elegant sweaters. The soft mid-tones are elevated and wearable in this season. 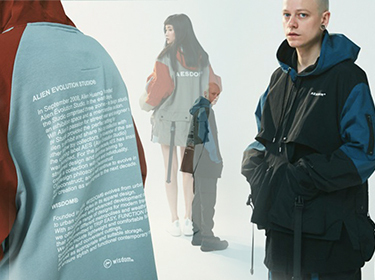 In the A/W 18/19 Japanese market, cotton and linen dresses and skirts focus on utility design. Lacings and deconstructed effects contribute to a simple yet cozy style.